Searching for somewhere far-flung and fabulous to take the kids? 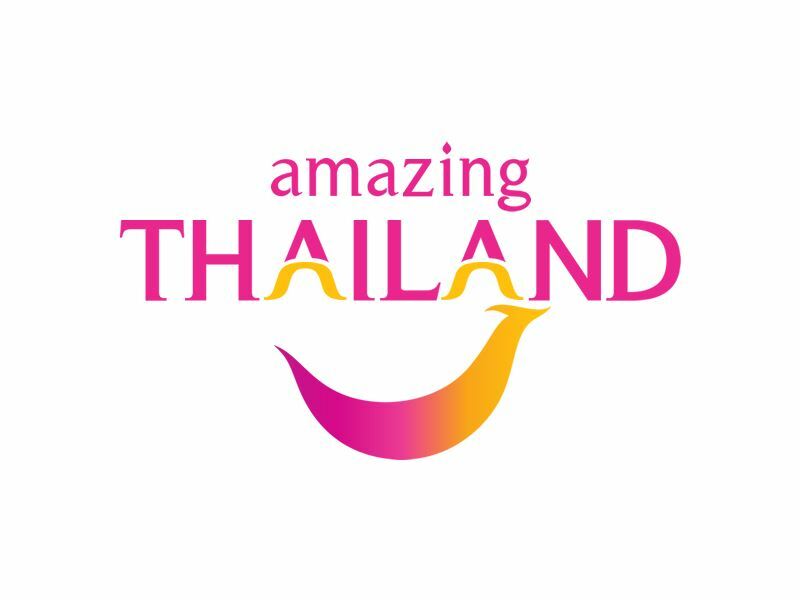 Thailand's amazing mix of culture, luscious jungle, stunning beaches and delicious cuisine is a match made in heaven for adventure families looking for somewhere unique and unforgettable. Don't forget the hotels either - from fun kid's clubs and sparkling pools, to luxurious family-sized rooms, we check into the best family-friendly hotels in Thailand that every parent should know about. The scene: With the added benefit of its own private beach at Pai Plong Bay, this five-star resort is reached either by a short tuk-tuk ride from Ao Nang or by speedboat from Nopporathara Pier. There’s a good-looking pool complex, PADI dive centre, and 192 effortlessly luxurious ocean-facing and garden-view rooms, suites, and private villas - many of which have pools or Jacuzzis. Best for kids: The two well-run kids’ clubs offer age-appropriate activities in a supervised setting. There’s Camp Safari for children aged 4-9 as well as E-Zone for tech-savvy teens too old for fish-feeding, painting, competitions, games, and arts and crafts. Babysitting is also available. Best for parents: Time away from the kids can be spent blissing out at the fabulous SPA Cenvaree, working up a sweat at the state-of-the-art gym, and getting stuck into sailing, snorkelling, kayaking and windsurfing at the on-site watersports centre. Equally worthy of your attention is Hagi for Japanese show cooking, Rim Saai for Thai seafood, Lotus Court for Asian cuisine, and the stylish Deep Blue Bar for DJ beats and late-night cocktails. The scene: It’s all colonial-style Sino-Portuguese architecture and ultra-modern design at this four-star charmer just a two-minute hop from Karon Beach. There’s 184 stylish rooms and suites housed in two separate buildings - most glamorous of which is the Serene Wing for its glossy all-white interiors. Elsewhere, you’ll find a supersized outdoor pool and sunbathing courtyard. Best for kids: There’s a kids’ room with games, dedicated children’s pool area, and babysitting services. For older teens, the decent selection of watersports at Karon Beach and trips to Muay Thai boxing matches in nearby Old Phuket Town won’t disappoint. 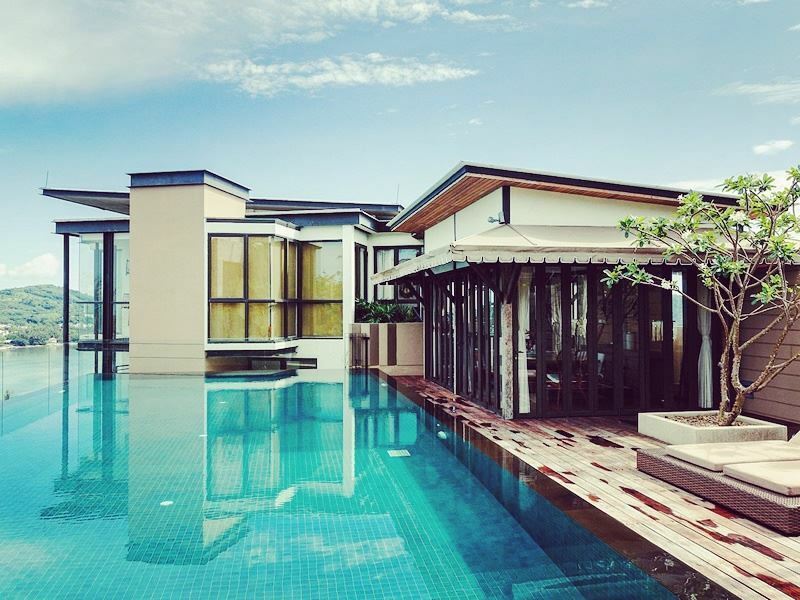 Best for parents: While you might be tempted to spend your entire holiday gazing at the impossibly blue waters of the Andaman Sea, there’s plenty to drag you away from your sunlounger. Most tempting is the state-of-the-art gym with cardio and strength-training equipment, the relaxed bars for anytime cocktails, and the selection of restaurants for à la carte and buffet-style dining. There’s no on-site spa, but poolside massages are available on request. 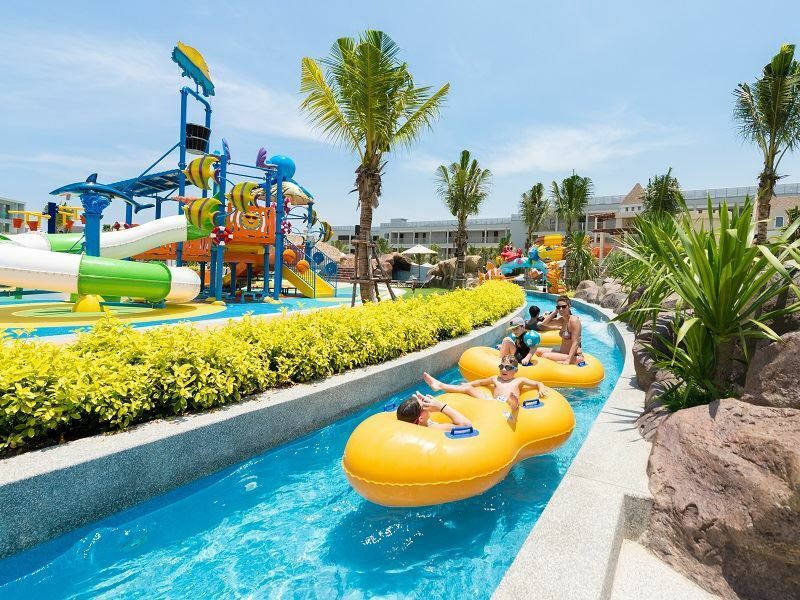 The scene: There’s no shortage of thrills to seal the family-friendly deal at this vast tropical playground on the quieter end of Koh Samui’s Chaweng Beach. Highlights include a large outdoor pool with Jacuzzi, tennis courts, dive and sailing centres, and 203 sea-facing rooms and suites revealing all the thoughtful luxuries and attention to detail that make it five-star worthy. Best for kids: Camp Safari offers a wide range of activities (games, fish-feeding, painting, competitions, arts and crafts) for children aged 4-9 while E-Zone runs a dedicated activity schedule for the over-10’s and discerning teenagers. Babysitting can be arranged. Best for parents: If shameless pampering is a priority, SPA Cenvaree offers over 30 holistic treatments and therapies as well as complimentary morning yoga sessions. 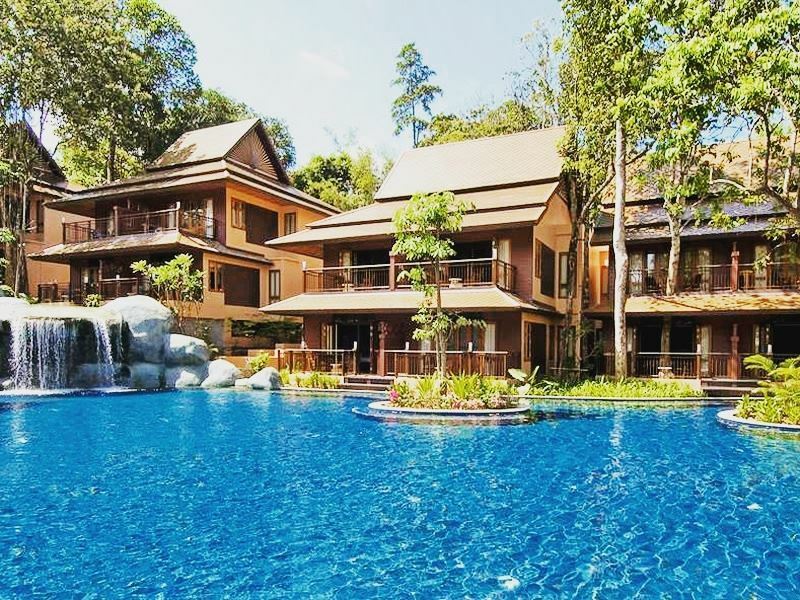 There’s also a well-equipped gym, PADI centre for well-seasoned divers and beginners, Thai boxing and cookery classes, and watersports galore. Standout bars and restaurants include the Dip & Sip swim-up pool bar, the all-day Palm Grove Restaurant, and the Brazilian-inspired Zico's Grill & Bar. The scene: For a beach-blessed stay in Phuket, this four-star resort is set on a secluded promontory in the island’s lesser-known south-east. 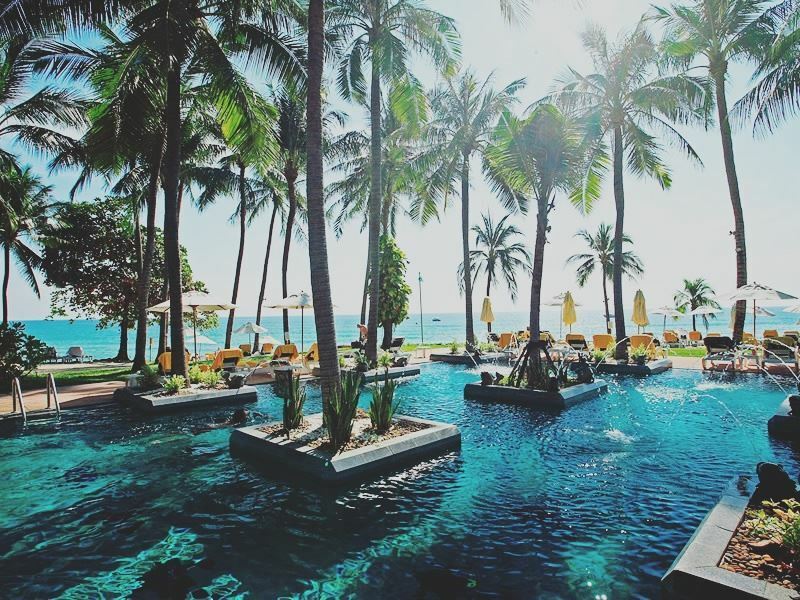 The location couldn’t be more spot-on; right on one of Thailand’s only private beaches and surrounded by coconut groves and tropical gardens. All of the 205 suites and villas are top-spec, with many featuring Jacuzzi tubs. Best for kids: There’s a kids’ playground as well as an indoor games room that opens daily from 8am to 10pm. Visits to see the orange clownfish, reef sharks and stingrays at the small and rarely-crowded Phuket Aquarium can also be arranged. Best for parents: When you’re not lazing by either of the two pools, working out in the gym, relaxing in the sauna, and booking treatments in the spa, make the most of the on-site activities and excursions. 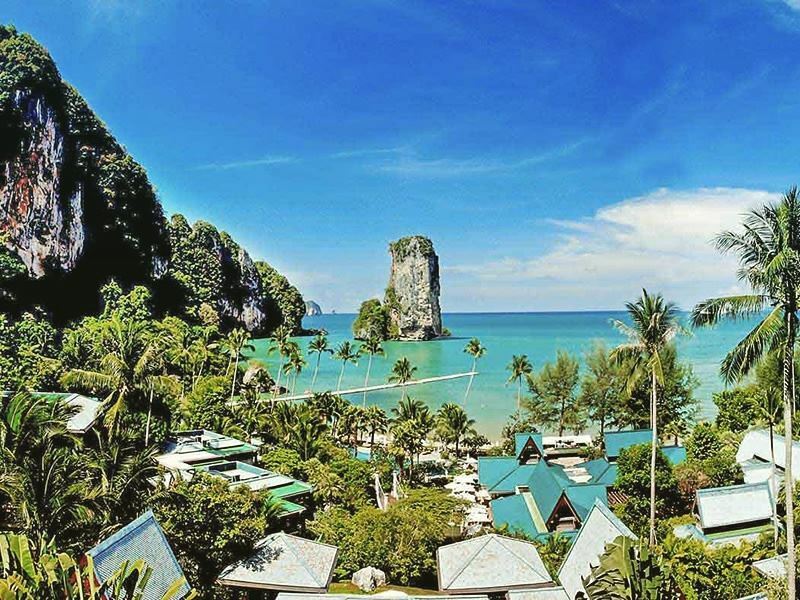 There’s boat trips to Coral Island, private Thai boxing and yoga classes, batik painting, and the chance to whip up your own Thai meal. And while the 10 bars and restaurants more than satisfy, nothing beats the meat feast that is Friday’s Steak Night Buffet. 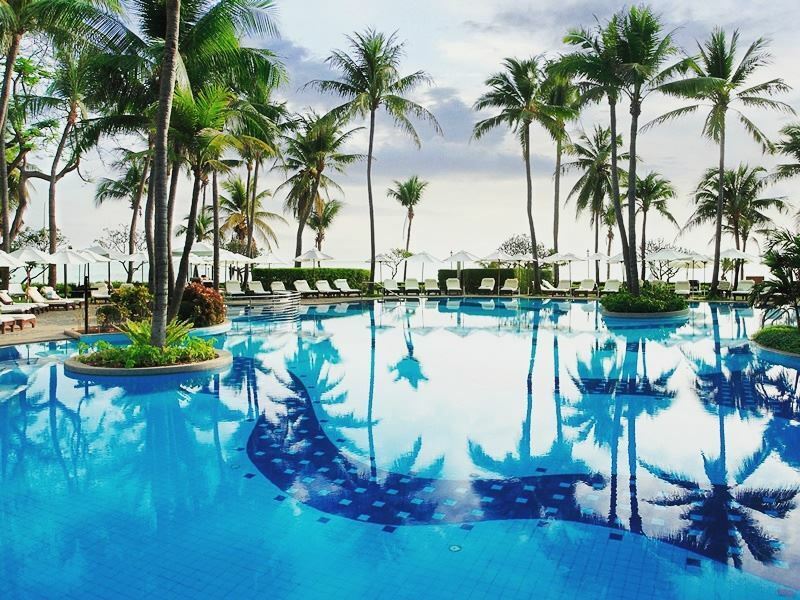 The scene: Nestled along a pristine stretch of Mai Khao Beach, this beautiful resort sets the bar for indulgence, opulence and style. 83 remote, contemporary villas are perched along the sugary sands, made even more stunning by their backdrop of luscious Sirinath National Park, whilst the private pools provide a picturesque place to refresh after soaking up the sun. Best for kids: The Turtle Club is a wonderful kid’s club perfect for young explorers. Each day the kids will be graced with exciting days full of entertaining and educational projects, including nature excursions, fun games, and arts and crafts. Best for parents: Whilst the kids have fun, mum and dad can treat themselves to a blissful treatment at the spa, before wandering up the spiral staircase to The Tree House for an intimate evening of delicious Thai-style tapas and signature mojitos. The gorgeous pool is illuminated at night time, making for a relaxing swim as the kids sleep off their bus day. The scene: For Andaman Sea views that go on forever, this four-star resort north of Phuket ups the ante with a lush rainforest location and direct access to 190 metres of Khao Lak beachfront. Assuming an upscale vibe throughout, it has four outdoor pools, a spa pool with Jacuzzi, and 200 ultra-stylish rooms and pool villas with chic décor and all mod cons. Best for kids: There’s a separate children's pool with waterslide, playground with climbing equipment, kids’ menu, and free-to-borrow bikes. Babysitting and childcare services are also available. Older kids may use the tennis court that opens daily from 8am to 9pm. 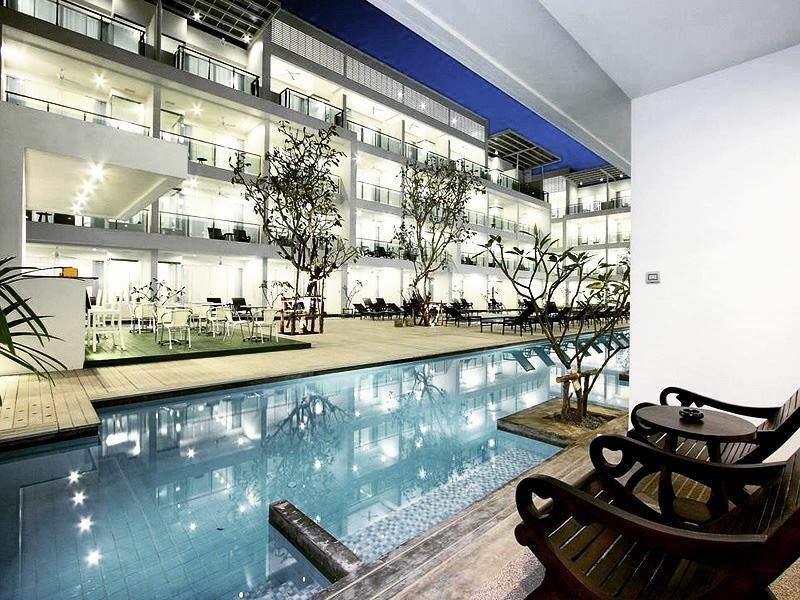 Best for parents: Superbly geared for families, most of the focus here is on the outdoor areas. Cool off by one of the four pools, work out in the small fitness suite, and enjoy relaxing facials, massages and aromatic body wraps and scrubs at the Merlin Spa. 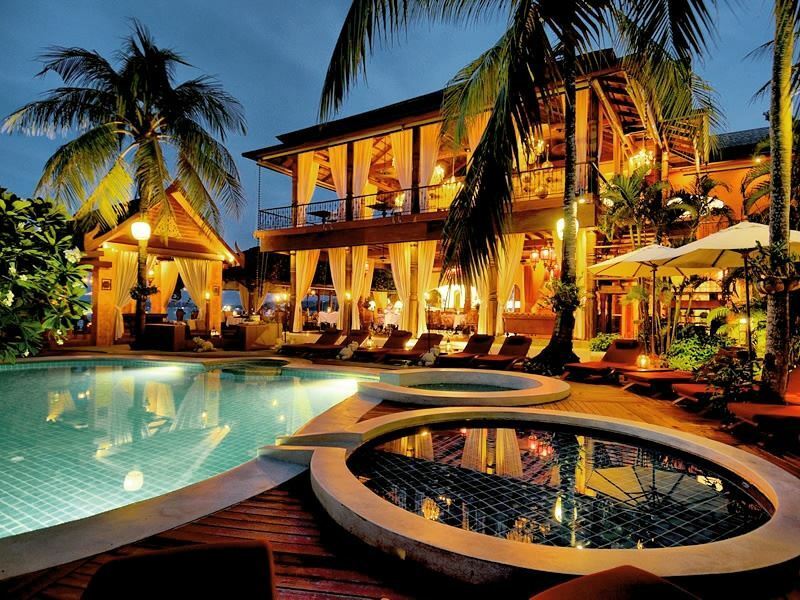 There’s also a couple of excellent restaurants for seafood, grilled delights, and all-day Thai and Asian fare as well as a laid-back beachfront bar for long drinks and well-crafted cocktails. 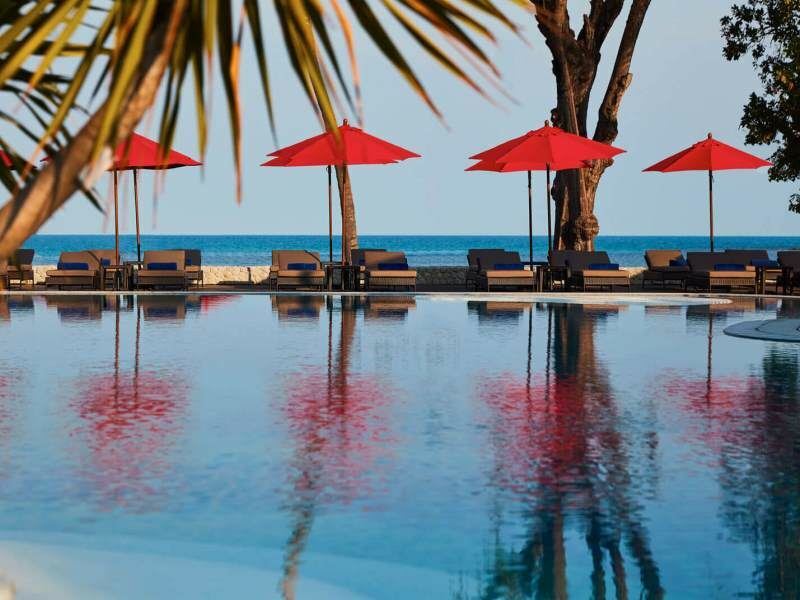 The scene: Located along the picturesque Nang Thong Beach, The Sands Khao Lak is an expansive resort that truly does cater for all. Divided into three wings, the Lagoon and Seaside sections are laidback and more adult, whilst the Aqua Wing offers colourful, fun activities the whole family will enjoy. Take your pick from seven bars and restaurants, enjoy a range of activities including yoga and movie nights, and relax on the sunshine terrace. Best for kids: The Aqua Wing is renowned for being a hub of family-friendly fun, with lots of water features, slides, and even an amazing lazy river that winds through the area. Toddler and kid pools create a safe environment for all ages, whilst the Sands Castle Kids Club arranges fabulous activities including arts and crafts, trampolines and rock climbing. Best for parents: Who doesn’t love a lazy river? It isn’t just for the kids, mum and dad will love leisurely floating along the river too. If that’s not your thing, head to the adult-only pool for a relaxing afternoon while the kids are in the club. The scene: A grandiose resort with a family-friendly approach, this 1923 colonial-style beachfront stay ticks all the boxes for style-conscious guests. 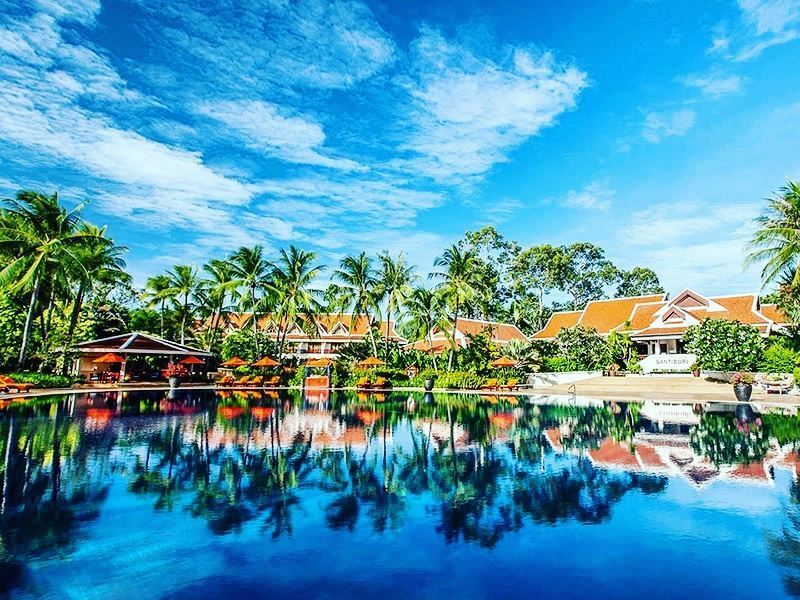 There’s acres of dazzling landscaped gardens, four outdoor pools, two putting greens, and over 200 luxury-led rooms and suites with high ceilings, period-style furnishings, polished hardwoods, and sumptuous Thai silks. Best for kids: This place offers all the facilities and activities that children could want: swimming, tennis, volleyball, football, badminton, bike rental, and more. There’s also Camp Safari for children aged 4-9 and E-Zone for hard-to-please teens. Babysitting is also available. Best for parents: Within easy reach of eight 18-hole golf courses, this place has something for everyone. There’s SPA Cenvaree for treatments, a state-of-the-art fitness centre for workouts, and two tennis courts for optional private lessons. The equally impressive dining scene includes Hagi for Japanese show cooking, Rim Saai for Thai seafood, Railway Restaurant for all-day dining, and Salathai for traditional Thai cooking. 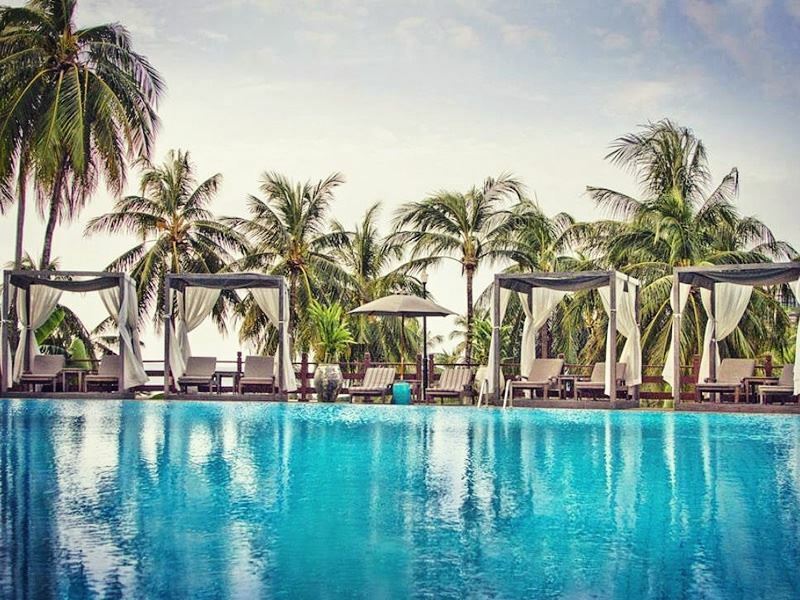 The scene: Sitting on a peaceful stretch of Chaweng Beach, Amari Koh Samui adopts an authentic and utterly charming Thai-vibe, with beautiful architecture, colourful Balinese décor, and gorgeous lagoon-style pools looking out to sea. The split-level Deluxe Family Duplex is a wonderful hideout for adventurous families, with a comfy living room on the lower floor. Best for kids: Younger guests won’t want to leave Amari’s wonderfully colourful kid’s club, featuring a fun animal themed playground and offering a wide range of cool activities. There’s also a children’s pool perfect for splashing around in the sunshine. Best for parents: Direct access to the powdery sands of Chaweng Beach presents a stunning spot to sun yourself – moving only to grab your drink. Whilst the Amaya Food Gallery offers a vibrant, casual spot for the whole family to dine together, parents hoping for time just the two of them should wander along to Amaya Bar for a gorgeous sunset cocktail. The scene: Smack bang on the sweeping white sands of Koh Samui’s Mae Nam Beach, this stunning resort promises five-star luxury on the unspoiled northern coast. There’s 59 suites and low-rise villas spread across 23 acres of beautiful tropical gardens, a supersized freeform outdoor pool, and a championship 18-hole golf course right on the cliff's edge. Best for kids: The Kids’ Activity Centre is kitted out with table tennis, darts, and a room for video games and PlayStation. Activities include Thai-influenced arts and crafts workshops, batik shirt painting, gel candle making, cooking lessons, basketball, football, and acrobatics. Best for parents: Nothing beats an end-of-day massage at Santiburi Spa - a sublime space complete with indoor baths, and outdoor deep soaking tubs. There’s also two restaurants for contemporary Thai and international cuisine, a brand-new sports centre for high-tech workouts, and a separate air-conditioned room for yoga classes. Sporty types will relish the floodlit tennis court, jogging and cycling trails, and half-sized grass football pitch. The scene: Sitting at the finest end of Bo Phut Beach on the north coast of Koh Samui, this 26-room boutique gem offers a tropical island setting between 80 metres of white sands and a coconut grove. 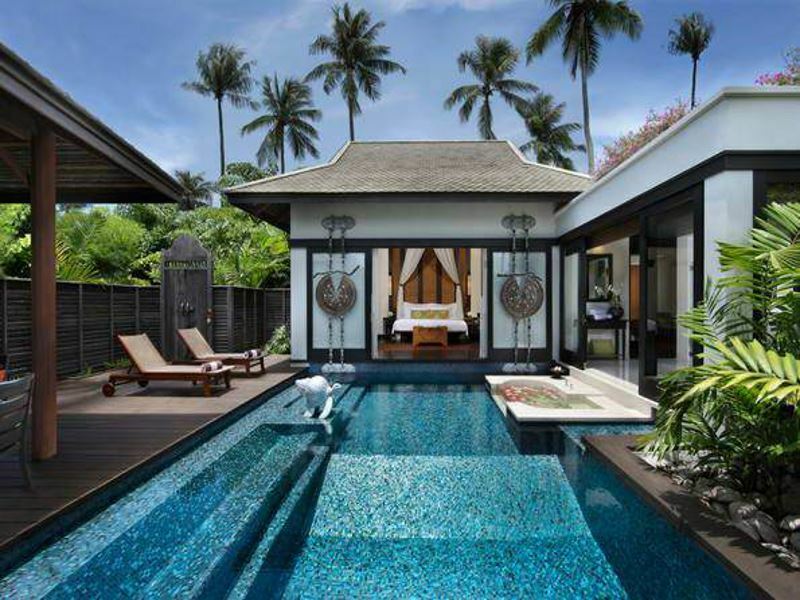 All of the cottages, villas and bungalows assure traditional Thai décor, floor-to-ceiling windows, and all the mod cons you’ll need for a chilled-out stay. Best for kids: The private beach will keep kids occupied for hours. There’s also a small children’s pool and babysitting services. For older kids, the hotel has good connections with a local dive school that can happily organise snorkelling and speedboat trips. Best for parents: There’s one-to-one yoga lessons, group cookery classes, and the complimentary use of kayaks and paddleboards. Equally noteworthy are the sophisticated restaurant for upscale Thai food and gourmet French-influenced cuisine and the underground wine cellar for award-winning labels and vintages. Most alluring is the garden-facing Le Zen Spa for its massage menu, oil scrubs, detoxifying body wraps, and rejuvenating facials.